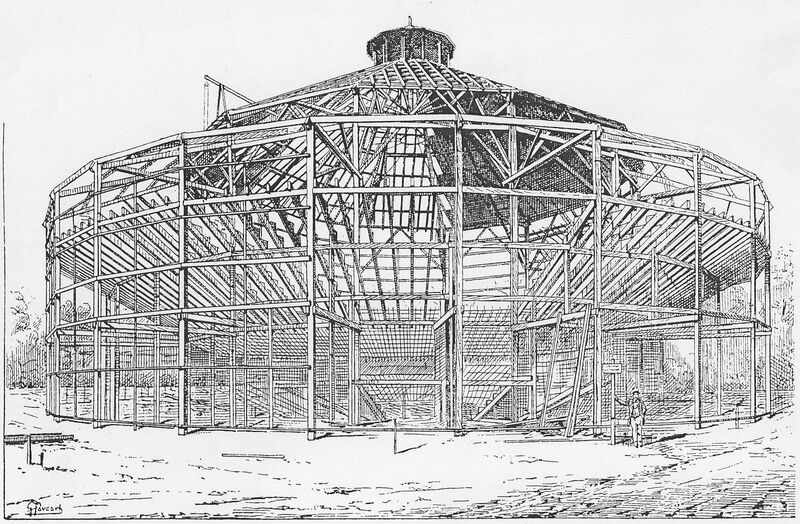 Demountable wooden circus structure from La Construction Moderne, February 1893. A little under twenty years ago I sent my first book on portable architecture to the publisher. Yes there were computers, and I did send it on disk (floppy ones which were actually protected in hard plastic covers) but all the images were analogue – slides, photographs, photocopies and hand drawings. Last week I sent my new version of this first book off to the publisher on a single CD. Even that was redundant really as I could have just downloaded it to their ftp site …but there is something, for an author at least, about walking down to the post office with a padded envelope and a stamp that has an air of finality about it. i am so glad you have started a blog. i am an architect myself but just graduated. i am also a singer and big lover of movies. i have always wanted to associate my architecture career with the entertainment sector. for a relatively long period of my academic years i was trying to learn architectural acoustics in a hope to design good sounding studios.but i soon realized it was a big mistake, as more than creativity it was more of a physics/mathematics based subject and beyond my capability of mastering. then i started looking into other areas and stumbled upon entertainment architecture such as set/production designing. since then i have been trying to learn and understand more. and i feel your books have been a very good material for reference and i thank you from the bottom of my heart for sharing your research material/conclusions.i have yet to read your latest two books especially the one on Live Architecture.i hope and really wish that you continue writing more through books and blog posts and continue to inspire young people like me.